It’s a profoundly sacrificial thing for a child to do. A little boy who’s fascinated with YouTube has donated his entire savings after seeing YouTubers donate hundreds of thousands of dollars to homeless shelters. 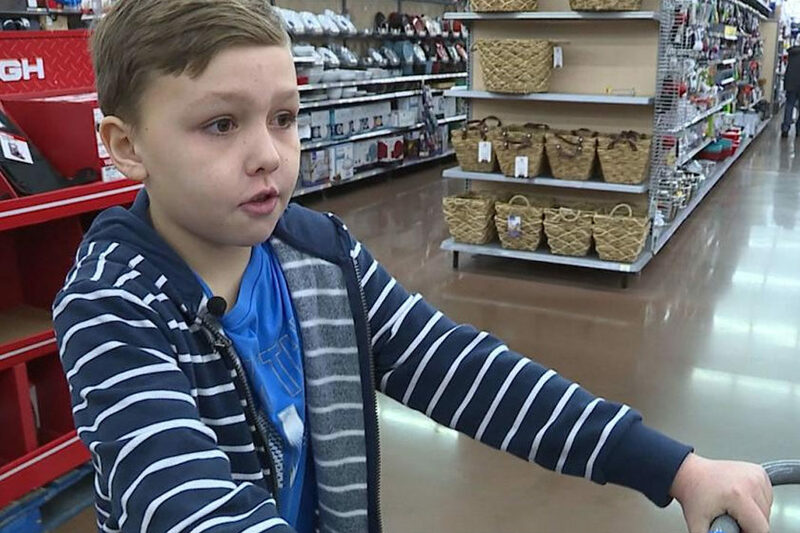 Nine-year-old Nathan Simons of Rock Island, Illinois asked his father to take him to the bank to withdraw his savings. Ethan Simons, the boy’s father, was skeptical about it, but decided to match him dollar for dollar. The two went to the bank and withdrew $150 from each of their accounts. Ethan left a little money in Nathan’s account to keep it open. Afterwards, they traveled to a local Walmart to purchase goods for the homeless shelter Christian Care, the only one open the day they decided to go shopping. Christian Care informed Nathan of needs such as shoes, gloves, barbeque sauce, and hot sauce. Along with purchasing the needed items, Nathan spent money on extra things to help the shelter celebrate the New Year, purchasing cookies, cakes, and soda. “At nine years old, to be feeling that kind of compassion for the work we do and for what’s going on in his community is pretty amazing,” Gramenz said. Nathan’s sister serves in the Marines, so he wanted to make sure the veterans at the shelter were taken care of. Nathan has stated he may do this again or start volunteering at the shelter.